Mavros Construction needed a new website to better showcase their high-end portfolio of custom built luxury homes. The old website had an out of date design and small photos which did not adequately represent the work of this impressive construction company. ALX completely redesigned the Mavros Construction website, with an emphasis on creating a beautiful, sortable portfolio with clear, large photos. The new Mavros Construction website uses a dark color palette for optimal display of the professional portfolio photographs, and large photographic banners on every page which proudly advertise their craftsmanship. 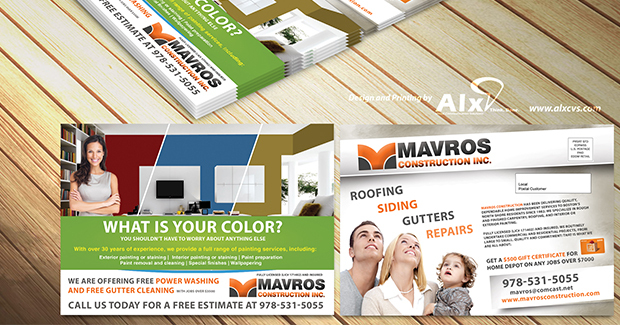 Mavros Construction needed an up-to-date, professional logo that would advertise the company as current, trendy, and tasteful. ALX completely redesigned the logo, using a clean, strong font and a minimal but bold color palette. The new Mavros Construciton logo was created as a vector graphic to be used in all future marketing materials, including the website, advertisements, EDDM postcards, tshirts, hats, vehicle detailing and more. 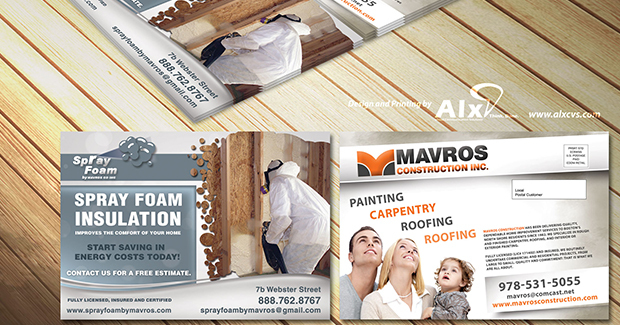 In order to spread the word about their high-end construction services, Mavros Construction needed new businesses cards that reflected their new visual brand. ALX designed and printed high-quality, glossy, full color business cards that showed off the new logo, and included strong, geometric visual design elements that reinforce feelings of security, trust, durability, and style. The best way for a company to recruit new clientele is to target a specific audience through EDDM postcards. 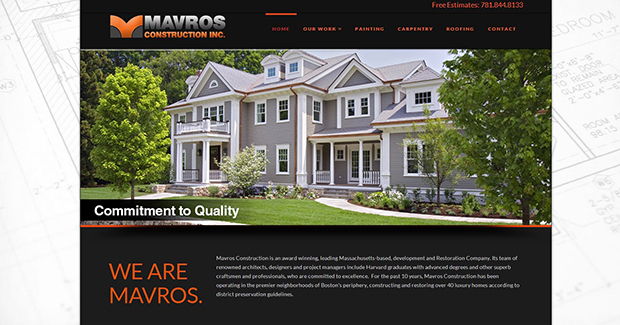 With an updated look, new website, and the busy spring construction season right around the corner, Mavros Construction was in a perfect position for an EDDM marketing campaign. ALX created beautiful, glossy, full color postcards on high-quality stock that will grab the attention of home owners in high-end neighborhoods around the North Shore of Boston. The EDDM postcards reflected Mavros Construction’s new branding elements, and used clear high-quality photographs to showoff the level of quality and craftsmanship in the company’s work. These high-quality, custom designed EDDM postcards stand out in a pile of mail thanks to attractive graphics and top-quality printing methods. Mavros Construction is an exceptional construction company that builds exceptional homes, and works in high-end neighborhoods. 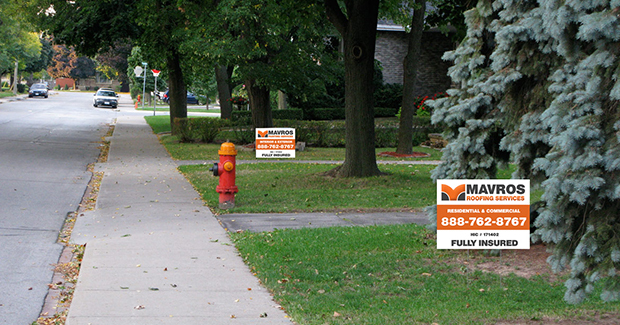 They needed quality, visually appealing lawn signs that would complement their tasteful surroundings. ALX created durable, attractive lawnsigns that Mavros Construction is proud to display in the most impressive neighborhoods. When the excellent construction work of Mavros Construction catches the eye of passerby, they can feel confident knowing that their lawnsign reflects the same level of commitment to detail and style. 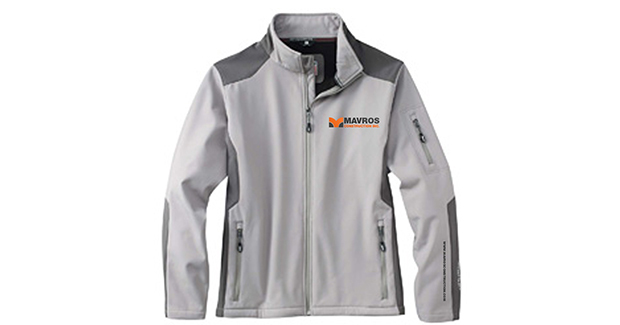 Company branded clothing was an ideal way for the employees of Mavros Construction to look professional and organized while working on high-profile construction jobs. 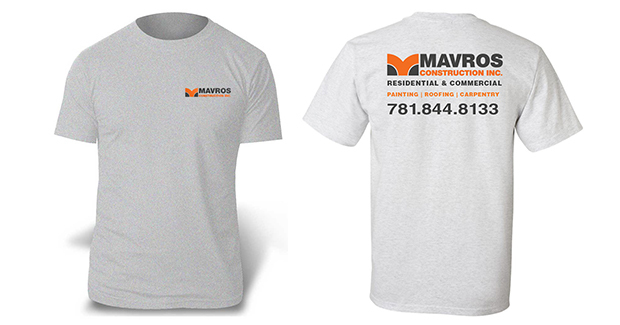 ALX created custom printed T-shirts and jackets in-house for Mavros Construction that display the new logo beautifully. ALX prints on only top-quality fibers, to ensure that the color won’t fade and that the clothing will last through many busy seasons.